Do you like barbecue? We at the Dirty Bourbon River Show sure do! The last vestiges of summer are fading away, each day shorter than the last, so what do you do? 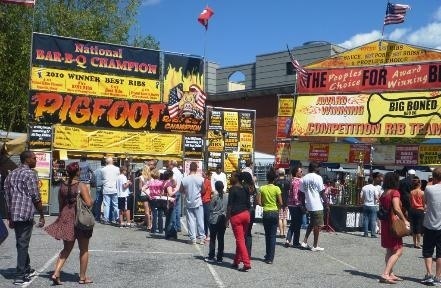 Come celebrate the beautiful weather with us at Greensboro’s 2nd annual East West BBQ fest this evening! Some of the best cookin’ from the area converges with excellent live music tonight, so come enjoy late summer’s offerings! The festivities go all day, and we hit the main stage at 9:30 pm sharp. Be there, be fed, and be entertained with yours truly, the Dirty Bourbon River Show!